Bits of Derek Walcott here. besides, this wasn’t Central Park. that’s all. The spades, the spicks. They don’t get enough love. The complete text and a link to the audio of the lecture here. Dilip Chitre is a poet of significance both in English and Marathi. He is a painter too. His contribution as a translator is also great. Of his translations,, two noted works are his translations of Tuka in Says Tuka and his translations of the Marathi Dalit poet Namdeo Dhasal. 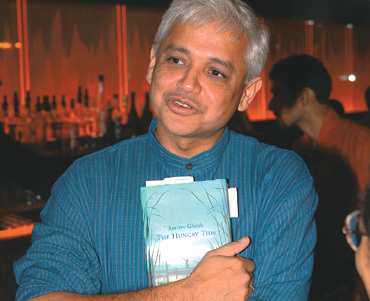 Tehelka had published an interview with Chitre about Dhasal in 2007. The interview was conducted by S Anand of navayana. Read the complete interview here. One of the questions Anand asks relates to the perennial question of the obscurity of the poem and their political stance. I like the way Chitre answers it. S Anand: There’s something I’ve wanted to ask you, Dilip. His political followers — as you’ve told me — when he’s in hospital, there are some two hundred Panthers outside. Do they read his poetry, do they have an understanding of it? Or is there a split between Namdeo the poet, and this other, political, person? Namdeo dares you, as a reader, and as a translator. There’s something I describe as aesthetic subversion. Namdeo subverts bourgeois sensibilities, and that’s what appeals to me. A subversive act tries to undo the entire system on which your values are based. 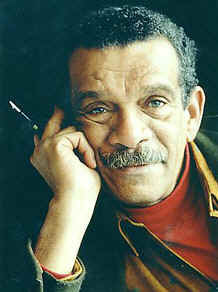 Namdeo is a guerrilla poet. In one phrase, one line, he’ll juxtapose dialect and the slang of Kamathipura with European references in very sophisticated Marathi. Orhan Pamuk, the Turkish writer, I think is a major writer of our times. The sense of complex texture he brings to his writing is amazing. A book like Istanbul is remarkable both for the rich kernel as for the fine fabric that it is woven in. He takes us in circles: book about book, book within book, story of story etc. His Nobel lecture is very interesting too and again it is a writing about writing. He compares writing to digging (reminds one of Heaney) a well with a needle. Read more here or here. The lecture is titled “My Father’s Suitcase”. Translation from Turkish by Maureen Freely. The writer’s secret is not inspiration – for it is never clear where it comes from – it is his stubbornness, his patience. That lovely Turkish saying – to dig a well with a needle – seems to me to have been said with writers in mind. In the old stories, I love the patience of Ferhat, who digs through mountains for his love – and I understand it, too. In my novel, My Name is Red, when I wrote about the old Persian miniaturists who had drawn the same horse with the same passion for so many years, memorising each stroke, that they could recreate that beautiful horse even with their eyes closed, I knew I was talking about the writing profession, and my own life. If a writer is to tell his own story – tell it slowly, and as if it were a story about other people – if he is to feel the power of the story rise up inside him, if he is to sit down at a table and patiently give himself over to this art – this craft – he must first have been given some hope. The angel of inspiration (who pays regular visits to some and rarely calls on others) favours the hopeful and the confident, and it is when a writer feels most lonely, when he feels most doubtful about his efforts, his dreams, and the value of his writing – when he thinks his story is only his story – it is at such moments that the angel chooses to reveal to him stories, images and dreams that will draw out the world he wishes to build. I don’t remember where I came across this. I don’t even know if this hilarious piece is rightly attributed to Mr. Safire. But, I just felt this is a good way of remembering the great columnist reading whom was such a joy. Remember to never split an infinitive. The passive voice should never be used. Do not put statements in the negative form. Verbs have to agree with their subjects. Proofread carefully to see if you words out. If you reread your work, you can find on rereading a great deal of repetition can be avoided by rereading and editing. A writer must not shift your point of view. And don’t start a sentence with a conjunction. (Remember, too, a preposition is a terrible word to end a sentence with.) Don’t overuse exclamation marks!! Place pronouns as close as possible, especially in long sentences, as of 10 or more words, to their antecedents. Writing carefully, dangling participles must be avoided. If any word is improper at the end of a sentence, a linking verb is. Take the bull by the hand and avoid mixing metaphors. Avoid trendy locutions that sound flaky. Everyone should be careful to use a singular pronoun with singular nouns in their writing. Always pick on the correct idiom. The adverb always follows the verb. Last but not least, avoid clichés like the plague; seek viable alternatives.